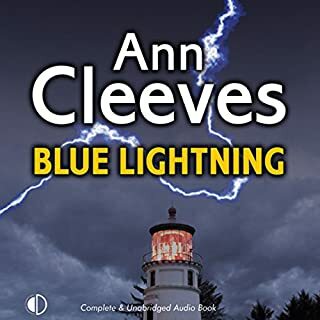 Ann Cleeves returns to her critically acclaimed Shetland Island series with this stunning mystery featuring Inspector Jimmy Perez, who listeners will remember from Raven Black, White Nights, Red Bones, and Blue Lightning. 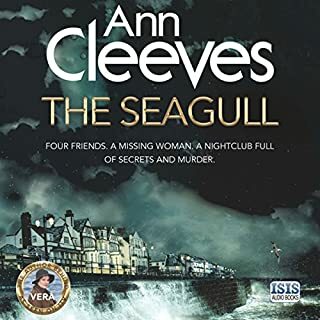 When the body of a journalist is found, Detective Inspector Willow Reeves is drafted from outside to head up the investigation. Inspector Jimmy Perez has been out of the loop, but his local knowledge is needed in this case, and he decides to help Willow. The dead journalist had left the islands years before to pursue his writing career. In his wake, he left a scandal involving a young girl. When Willow and Jimmy dig deeper, they realize that the journalist was chasing a story that many Shetlanders didn't want to come to the surface. 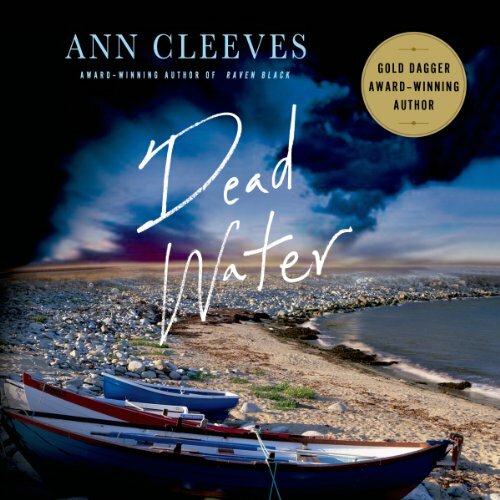 In Dead Water, a triumphant continuation to her Shetland series, Ann Cleeves cements her place as one of Britain's most successful crime writers. 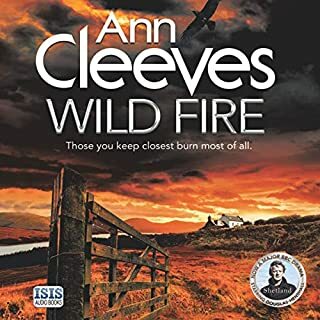 ©2013 Anne Cleeves (P)2013 Isis Publishing Ltd. I enjoyed this book. 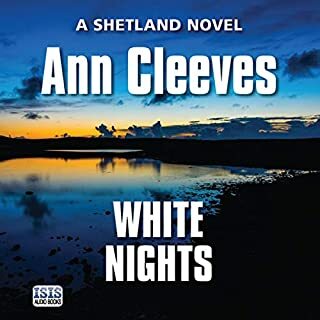 The setting, on the Shetland Islands, is atmospheric and interesting; the characters believable, the story well told, and the narrator very able. 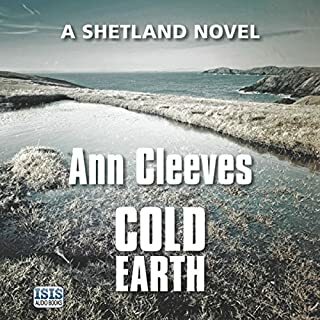 This is the fifth "Shetland" book I've read and I loved it as much as I did the first four. 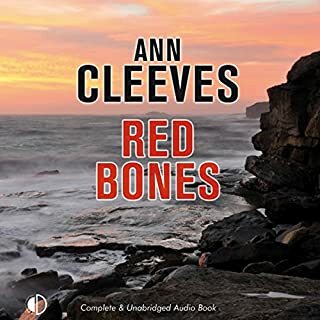 Ann Cleeves does an excellent job of describing the characters and the setting. As I listen, I feel a very strong sense of place, though I've never even visited an area bears any similarity to Shetland. Her characters are interesting and seem real as she describes them. Jimmy Perez is the main protagonist. He has suffered a terrible loss in his life, and is beginning to recover in this story. Kenny Blyth's narration is seamless and excellent. Some readers have commented that they found him hard to understand - I did not have that experience. I have lived my entire live in the North Central United States and had no problems understanding the accents. If you like fast paced books with non-stop action, this one probably isn't for you. What you will find here is a well told story populated with interesting characters who live is a fascinating place. It was a great story with beautiful narration. Loved the Shetland accent. It exceeded my expectations. I will listen again. 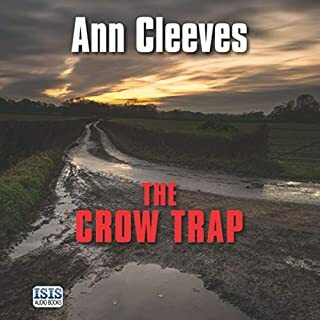 Excellent crime novel, very well narrated! 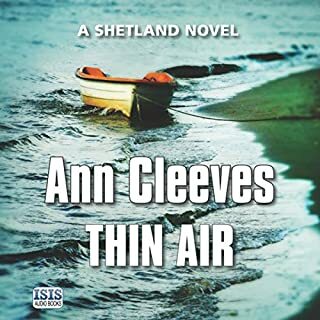 Anne Cleeves writes fascinating mysteries that take place in the Shetland Islands. 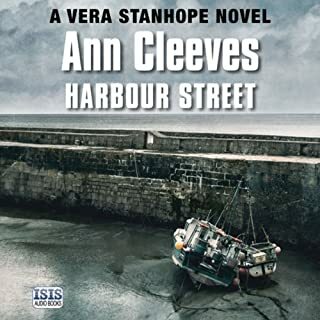 She is also the author of the Vera Stanhope series. In this book, Jimmy Perez has been away due to a personal tragedy, and when this murder occurs, he is drawn back into the police work little by little, even as he continues to take care of his foster daughter. In this case, a local man who had moved away, returns, only to be killed. 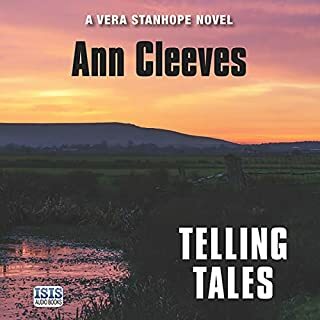 There are a couple of intriguing pathways to follow for clues--one, his past romances and the other, concerns about a local water project that some people are not happy about. 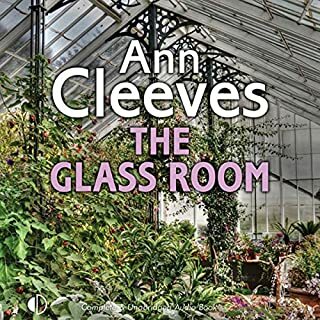 Cleeves' books are deep and intense. 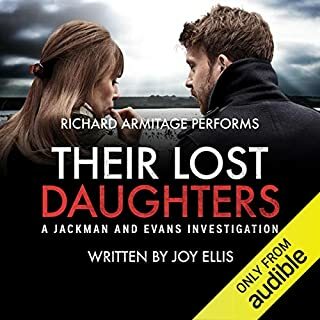 This plot is well laid out and has enough continuing interest to keep the reader/listener's attention from beginning to end. 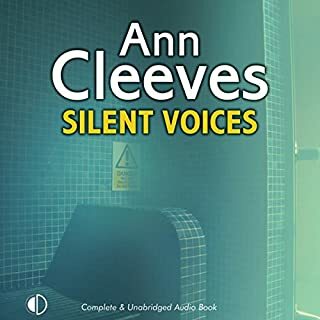 It is good as a stand alone mystery--however, be aware that it is part of a series (in fact, the 5th one)--but so far as I can see, it is the only one being offered by her on Audible (at least so far). I chose to listen to it (normally would not be likely to pick up a book in mid-series)--because I have read all the others. 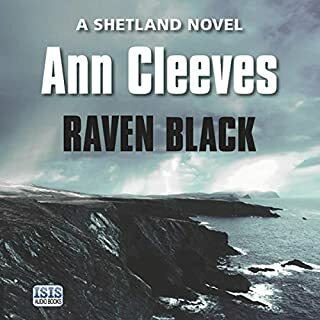 This is a really good mystery book with lots of interesting information about the Shetlands. 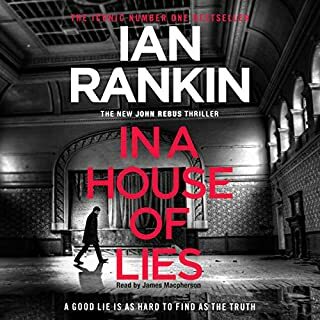 It is well worth listening to, but it does give away a bit of information that would be a spoiler for the 4th book in the series. I highly recommend it--with only that consideration. It is well worth listening to--the narration is quite good. Kenny Blyth had a strong Scot's accent--but not in a way that made it hard for (this American) to understand, as can be the case sometimes. Would you consider the audio edition of Dead Water to be better than the print version? What other book might you compare Dead Water to and why? Would you listen to Dead Water again? Why? I would absolutely listen to this book again and again. It has a great storyline and so well written. A joy to listen to. All the characters are well defined. Which character – as performed by Kenny Blyth – was your favorite? So delightful to have a book with great character development and story. Makes you want to visit Shetland Island. 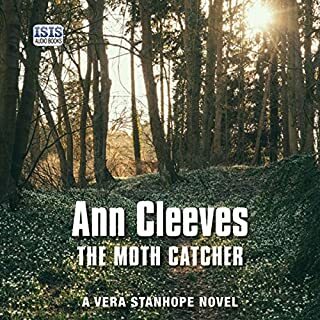 PLEASE MORE ANN CLEEVES. I won't be spoiler but I will say I was dismayed about the ending of the prior book in this series, which seemed gratuitous and harsh. Having said that, this story picks up smoothly and continues to develop the main characters while adding an interesting new face to the mix. The story is well developed and the descriptions of the islands make you feel you could be there. I loved loved loved the narration. The range and nuance of the accents was lovely and engaging and pitch perfect. This is a great addition to the series, no disappointments. Someone once said that to visit new places you must travel or read a book. I enjoyed the story a great deal, but traveling to the Shetland Islands in this book is even better. The descriptions are great, the characters believable, and feel of the place is appealing. The reader enhanced the experience of both the story and the visit. Events and characters are depicted well without unnecessary profanity or gruesome detail. 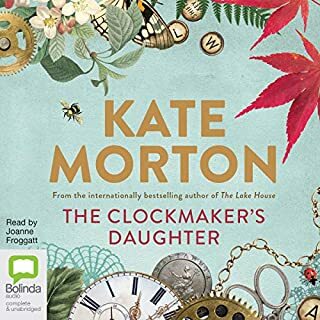 I enjoyed this book and look forward to listening to the others in this series. Another book on the Shetland Islands with Jimmy Perez. He's back to work after time off grieving for his fiancee, Fran. He joins wth Willow, a woman investigator in charge, and begins his uphill climb back to the only job he knows. The Police Lawyer, an acquaintance and his boss, is a part of the mystery, which adds intrigue. This is a great series... well worth reading, but I have long felt that a Scot should read a about Scotland. I am tired of the faux Scottish accents of the standard received English tenors that we usually get. The BBC series has been very brave and used actors with very storng regional accents. It is challenging but worth it.